Viewing topic "forum advice: where to discuss prepping multisamples?" Hello. Where’s a good place to discuss sampling? I know the forum’s got an All About Sampling subform that’s the intended place, but it doesn’t seem to get much traffic. I use an XF. My specific subject is preparing samples. 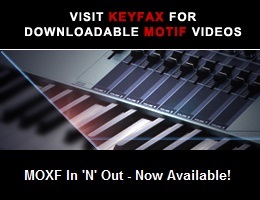 It applies to MOXF, Motif XF, Motif XS, ES, & Classic. “All About Sampling” might be more appropriate for a general discussion covering several models, but it may indeed get little attention there. In my opinion (and it’s only my opinion), if the topic relates to the XF, and specifics of the other models aren’t discussed, then the XF forum is a reasonable place to post.